Kousuke (Nao Omori) is the third son in the Shimoarai family. He runs a movie production company. Kousuke is in trouble because his production company hasn't made any hit movies. Making matters worse, a typhoon hits and the shooting site for his latest film is halted. If he can't get any more money, he will go bankrupt. Kousuke's makes his wife Kayo (Kyoko Hasegawa) and daughter Tomoko (Yuno Fuse) stay at a hotel near his parents' house. The anniversary of his father's death will take place at Kousuke's parents home. Kousuke also hopes he can borrow money by using his parents' home as security. 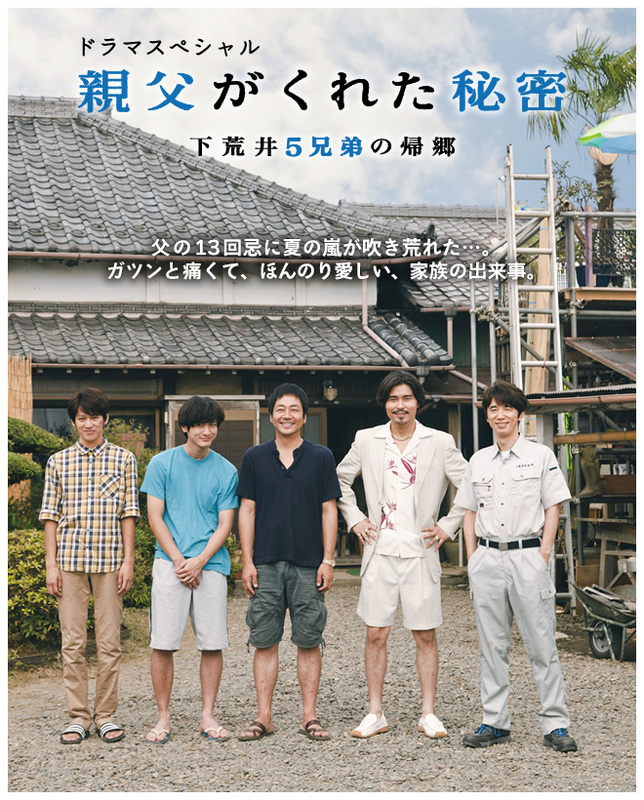 On the same day, Osamu (Kento Nagayama), the youngest son in the Shimoarai family and works at a life insurance company in Tokyo, goes back to his hometown for the first time in a long while. When he arrives Osamu looks injured and strange. He turned down his fiance Ikuyo Katayama's (Aimi Satsukawa) request to introduce her to his family. Instead, he arrives at home alone. .
At their parents home, Taizo (Yusuke Santamaria), the eldest son in the Shimoarai family and works in the family's business, lives with the fourth son Kenji (Kengo Kora). At this time, Taiyo (Yukiyoshi Ozawa), who is the second eldest son, suddenly arrives at thier parents' home. He severed ties with the family after his arrest for fraud. Now with the opportunity of the five brothers all together, the secret of the parent's home, which their father left, is revealed. Based on the stage play "Shimoarai Kyodai no Supuringu、Hazu、Kamu" written by actor Yo Oizumi. The play was performed 59 times from February to April, 2009 by stage play unit 'TEAM NACS' in Japan.